Jemma Kidd models for a Cesar campaign to encourage UK pet owners to spend more time with their furry friends. 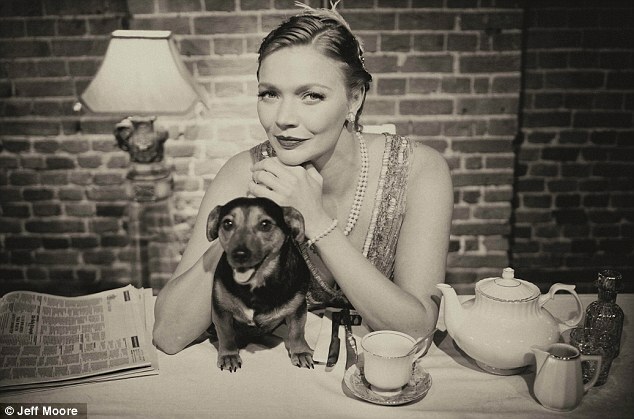 The gorgeous Miss Kidd models alongside her pet Jack Russell terrier Dooby. 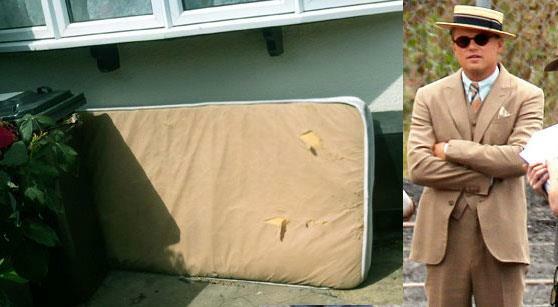 Celebrities who look like mattresses. 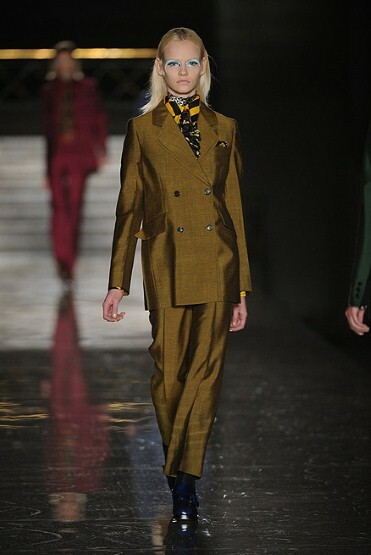 Leo looks fab in a fluoro beige inspired suit. 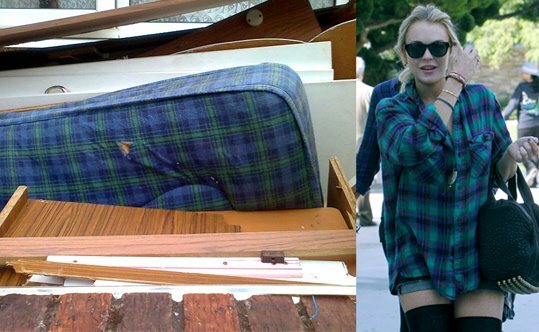 Lindsay disguises herself as this Ikea medium firm spring-base. 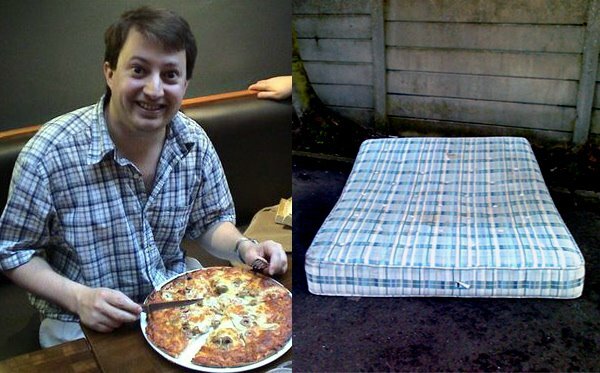 It’s hard to tell David Mitchell apart from this pizza bothering mattress. New Zealand Marmite shortage gets Kiwis in a flap! Vegemite, Marmite and New Zealand Marmite are all condiments that grace my larder shelves. I am a huge lover of buttery toast…and…well muffins, scones, sandwiches and crumpets…. 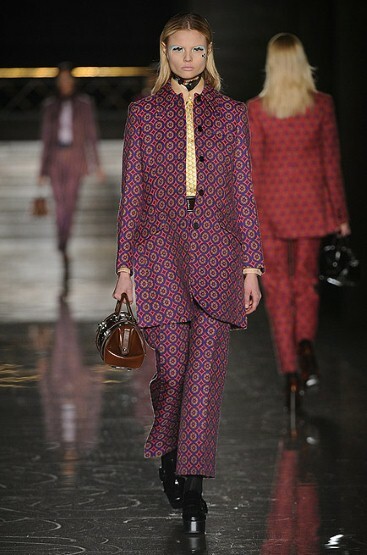 Anything Marmitey is always a winner in my book. How can it not be? It’s tangy. It’s tasty and it goes well with cheese (another mildly insane obsession I have). Have you tried Marmite crisps, biscuits and cheddar? some recent news from our fellow beer lovers on the other side of the planet. 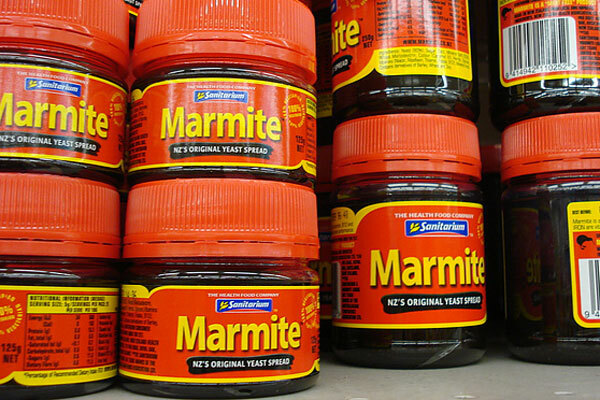 Earthquakes have forced NZ only Marmite factory to close down! Kiwi civilians have gone slightly potty for the black sandwich filler and have been bidding up to £1,800 for a jar online! I don’t think I’ll be bidding more than £2 for a jar of NZ Marmite just yet. 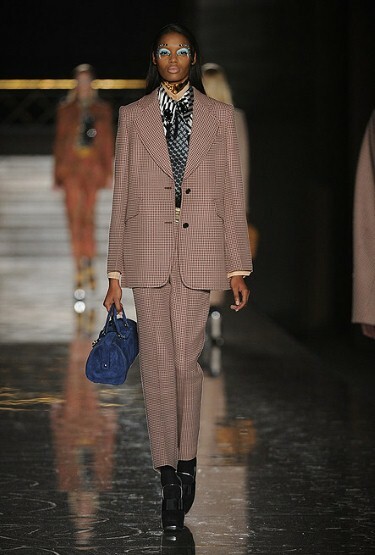 Good things come in small packages…..
Miu Miu A / W 2012 in pictures. This spout of sunshine brings on summer jams and throughout the weekend any bars, beer gardens and parties I went to were celebrating the 90s Hip Hop culture that we strongly connect with our English summer. A Tribe Called Quest, De La Soul, Easy E….play it on vinyl and it sounds smooth and funky. Let’s hope the summer is here to stay this time. 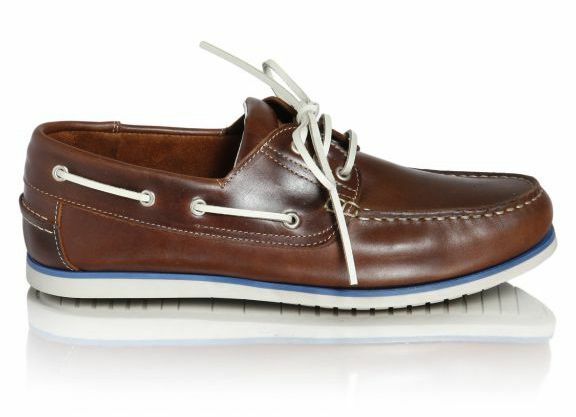 One style of men’s shoe that never goes out of fashion is the boat shoe. The AS-Tony Men’s Casual Boat Shoe designed by Jane Shilton, represents a relaxed fashion that is easy to wear and style with casual attire. In the Summer days or nights these shoes look great with shorts and chinos. 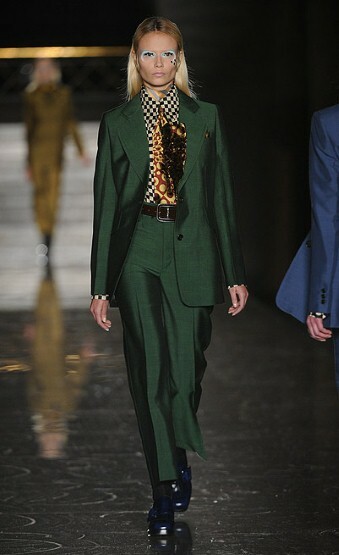 They are also brilliantly easy to wear throughout the rest of the year and look fab with a brushed cotton button down and a navy or even rust coloured pair of trousers. The quality of these AS-Tony Men’s Casual Boat Shoes is immense. They are cut from high quality premium grade soft leather with a comfortable leather lining and a slip resistant rubber sole. As always, Jane Shilton have taken a fashion classic and added there own twist, which sees the sole with a little modern colour added via white and sky blue stripes. The iconic traditional stitching swings a nod back to men’s classic footwear. These boat shoes are a wardrobe essential for men of all ages. Available in navy or brown leather they are a timeless classic that will never be out of fashion.